5 Flavored Popcorn Recipes You Need to Try Now – Sig Nordal, Jr.
One can’t simply watch a movie without a huge bowl of buttered or salted popcorn in his lap and a cold drink in his hand. But who says popcorn only has to be salted or buttered? In this article, we’ll introduce you to 5 innovative ways of spicing up popcorn. All of the recipes are super easy to make and preparation time can only take around 15 minutes. Plus, the ingredients you’ll need are only minimal. Seriously, you won’t burn holes in your wallet with these treats. So, if you’re too curious to know, here are our must-try flavored popcorn recipes. Garlic and herbs go together perfectly and complement each other’s tastes. This recipe has good chances of becoming your favorite. Mince or grate the 4 cloves of garlic and then melt your butter. Add the herbs and cook everything for 60 seconds. Make sure the stove’s not set on max because the mixture will be burned and that will surely taste awful. Put your popcorn in a bowl and pour the garlic and herbs over it. Add a few pinches of salt to enhance the flavor. This is for all the dairy lovers out there. In less than 5 minutes, you can get some popcorn that will blow your socks off. You are free to use any kind of cheese you like. We’re doing it with parmesan, cheddar, and Colby. Some people use mozzarella, but we prefer not to because it doesn’t melt properly. Grate and shred your cheeses. Spread the popcorn on the baking sheet and heat the oven at 3000 F.
Put the shredded cheeses on the popcorn and insert the tray in the oven. It should be ready in about 4 minutes. Stay by the oven and look inside. If the cheeses have melted properly, take the popcorn out and add as much salt as you like. Curry and turmeric are among the healthiest condiments in the world because of their potent anti-inflammatory properties. Now, you can enjoy their health benefits by adding them to your popcorn. Keep in mind that these spices are extremely powerful, so you certainly don’t want to use them in large quantities. Set the stove on low heat and melt the butter-stick in the pan. Add the other ingredients. You might be taken aback by the sugar – it’s actually important because it will mellow out the taste of the curry and turmeric. Cook the mixture for approximately 1 minute and a half (maximum of 2 minutes). Add the salt and spread the dressing on your popcorn. This will take a little longer to make than the other three recipes, but it’s certainly worth the wait. You will also need more ingredients than usual. Set the stove on low heat and melt the butter in the pan. Add the vanilla, cocoa, and sugar. Stir and let the mixture boil for 1 to 2 minutes. Pour the mixture over the popcorn and stir so that the popcorn gets coated evenly. Set your oven at 2500 degrees, put the popcorn on a baking sheet and bake it for half an hour. The cocoa coating will become crisp and won’t fall off the popcorn. 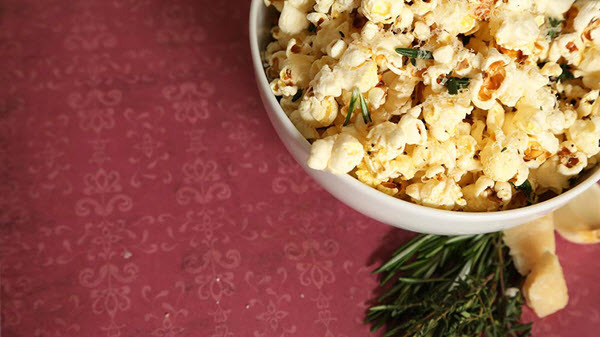 This is such a delicious recipe that you’ll never go back to traditional popcorn. Melt the butter in the pan on low heat so you don’t vaporize it. Mince and then crush the banana with a spoon and add it to the butter. Add your cinnamon powder and let the mixture boil for 1 minute. Make sure it doesn’t stick to the pan. Lastly, add the sugar and pour everything on top of your popcorn. You can add some chocolate chips or a few drops of mint oil. These 5 flavored popcorn recipes are just some of the awesome ways to make your snack taste a lot better. There are surely a lot more recipes you can try if you just search around. In fact, you can even experiment and create your own! The more you experiment, the more enjoyable your popcorn will be. Just make sure to watch your pot closely since popcorn kernels can burn pretty quickly. 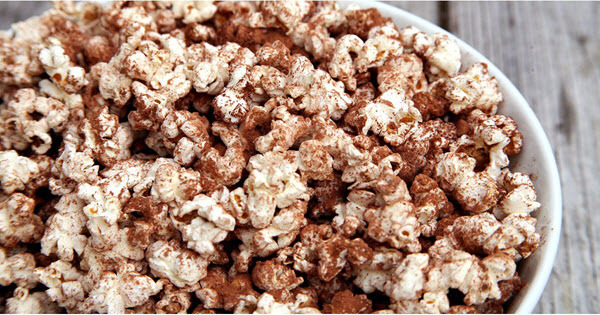 The post 5 Flavored Popcorn Recipes You Need to Try Now appeared first on Dumb Little Man.